This topic contains 0 replies, has 1 voice, and was last updated by DNK 4 years, 4 months ago. What can be more fun than snowboarding? 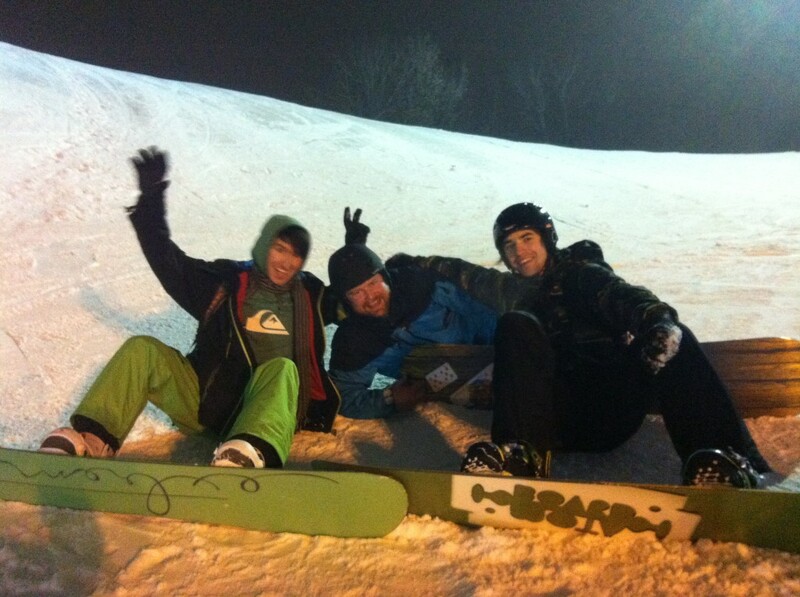 ‘Course snowboarding with friends! So, on the past Saturday, we opened snowboarding season in “KANT” – the only place where you can (almost) normally ride, without leaving the city. And yes, it’s open air which is kinda cool, in all senses. Why “almost”? Weeeeell, because it’s awfully short. Reaching the bottom in a minute, maybe two – depends on your laziness and speed. Moreover, Dima a.k.a Stranger, our code-wizard, was on his first ride! I mean, the very first! And ya know what? He was absolutly focking awesome. Ok, maybe it’s because he skating from time to time, but still. Dude rocks. What was less awesome, that is Stranger and Roll were late. Our team and some other good friends of mine agreed to met at 13:00. Almost everyone showed up to 14:00. Except those two. So we did around 5-6 rides, had a lunch in the nearest cafe and wait, wait, wait… At last, they arrived – in 16:20. On our attempts to know “WHAT TOOK YOU TWO SO FREACKING LONG!?!?! ?” they simply answered, dat they were “thermo-morphing their boots”. Lol.